This undated image of civil rights activist, actor, playwright, poet, author, and director, Ossie Davis is just one of the ‘hidden treasures’ within the Images from the History of Medicine (IHM) online image collection here at the National Library of Medicine’s History of Medicine Division. Davis, born Raiford Chatman Davis in Cogdell, Clinch County, Georgia in 1917, is one of Howard University’s most notable and esteemed alumni (though he did not officially graduate from the university, he received an honorary degree in 1973). 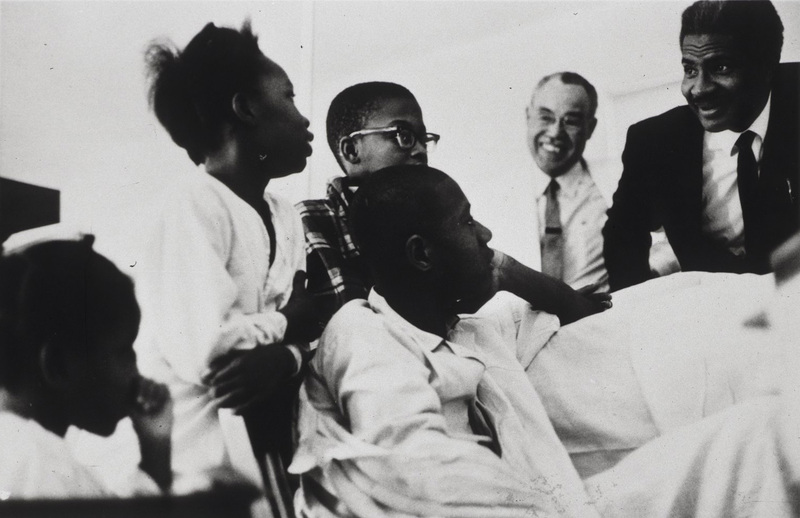 Davis’s visit to the children’s ward of the historic Howard University Freedmen’s Hospital of Washington, D.C., was an act in character with his rich legacy of giving back to the community. Freedmen’s Hospital is a pillar in the history of medicine for the Black community. Beginning in 1863, Freedmen’s provided medical care to former slaves and other aged and disabled African Americans in the Washington, D.C. area. Five years after it opened, Freedmen’s Hospital became the official teaching hospital for the Howard University College of Medicine. 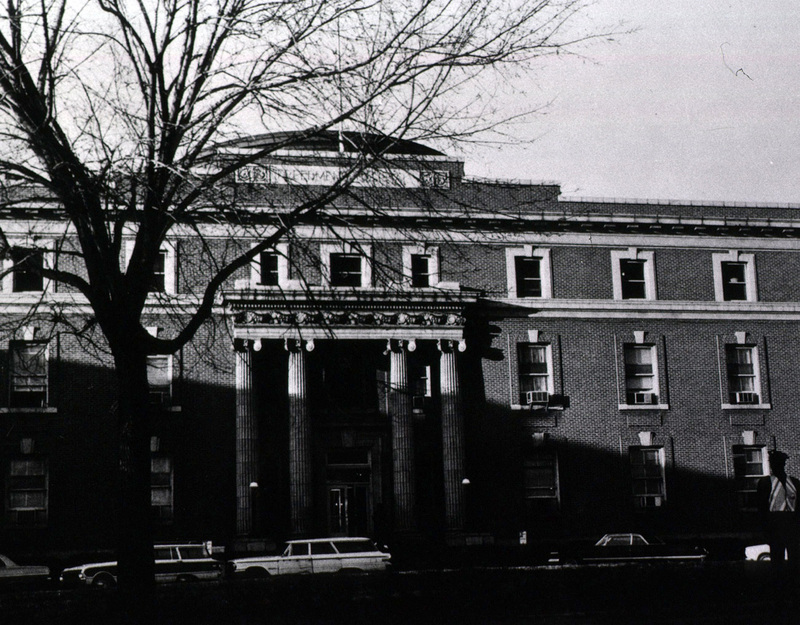 Many notable African American doctors have taught and been trained within the walls of Freedmen’s Hospital, which was relocated and renamed Howard University Hospital in 1975. These pioneers include: Lt. Colonel Alexander T. Augusta, M.D. (the first African American to head a hospital in the United States); Charles R. Drew, M.D. ; Montague Cobb M.D., Ph.D; and contemporary pioneers in academic surgery such as Dr. Patricia E. Bath. Patricia Bath—ophthalmologist, inventor, and founder of the American Institute for the Prevention of Blindness—created the Laserphaco Probe, a device invented to aid in the efficient removal of cataracts. To learn more about the history of Freedmen’s Hospital, other pioneers, and contemporary surgeons within the realm of African American medicine, please visit our online exhibition: Opening Doors: Contemporary African American Academic Surgeons.